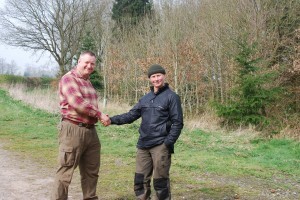 Richard Mason (R) congratulates Mick Davidson (L) on successfully attaining his Level 4 Instructors and Mentors Award. Well done Mick. Congratulations on achieving your Level 4 award. Rightly deserved. Thank you for all your hard work Mick.